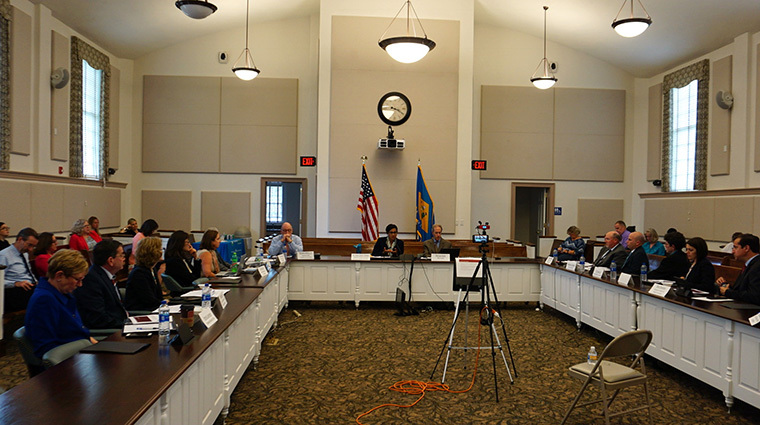 After four months of meetings and thoughtful discussions, the Governor-appointed Delaware Health Care Delivery and Cost Advisory Group provided feedback to Department of Health and Social Services Secretary Dr. Kara Odom Walker on how spending and quality benchmarks could be established in Delaware. In the summary report, the 13 stakeholders in the Advisory Group provided feedback in such areas as whose health care spending should be measured, where should the data come from, what methodology should be used to set the benchmark rate, which health care measures should be used in the quality benchmark, who should set the benchmark and how should the timeline be set. Using the feedback, Secretary Walker will provide her final recommendations on implementing the benchmarks this summer to Governor John Carney.